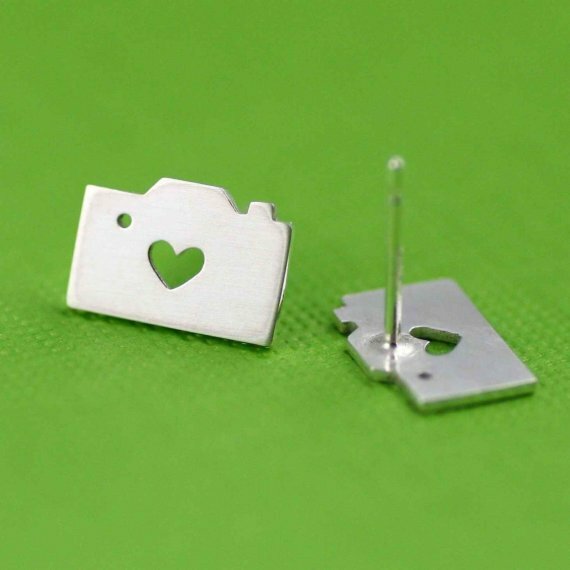 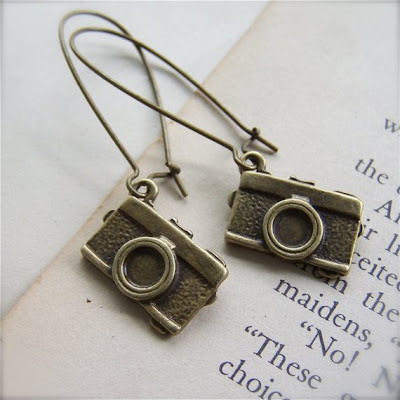 Collection of ‘Creative and Cool Camera Earrings' from all over the world. Vinyl Record Camera Earrings: Each of these earrings is one of a kind due to the random nature of the grooves found in each record. 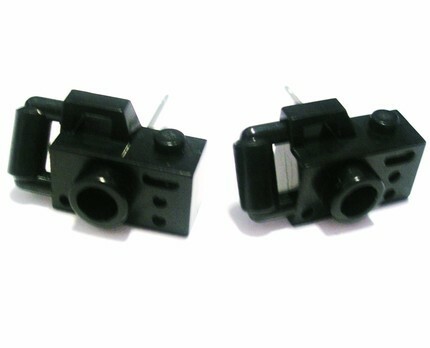 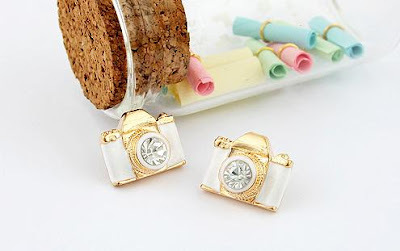 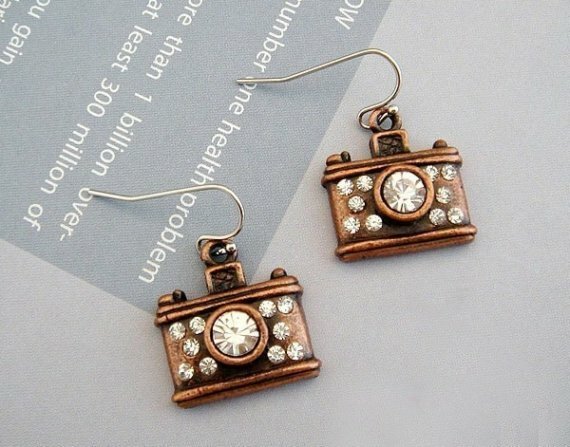 Camera Crystal Earrings: These measure 1.8cm X 1.3cm. 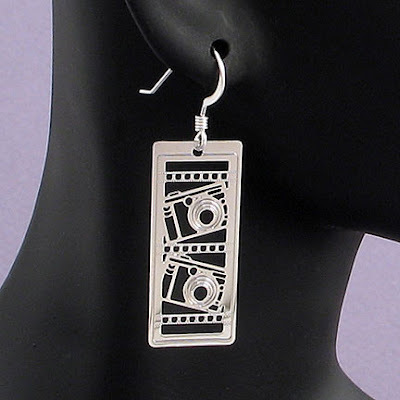 Camera & Film Earrings: The camera's lens lights up when you press a little button behind it. 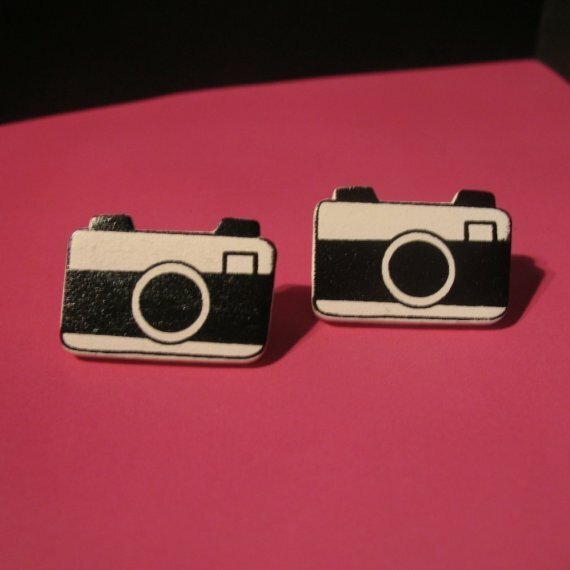 Wooden Camera Earrings: These measure 3/4" tall x 1" wide and are made from thin wooden cameras. 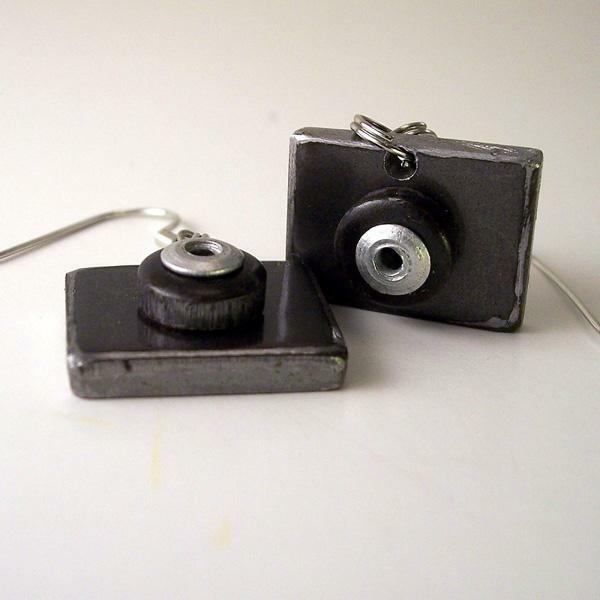 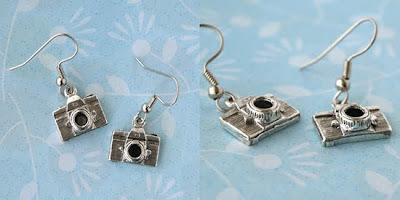 Vintage Camera Earrings: These fantastic handmade vintage camera earrings have a steel body and lens and the rivet is made of aluminum and measures approx 3/4" wide by 1/2" tall. 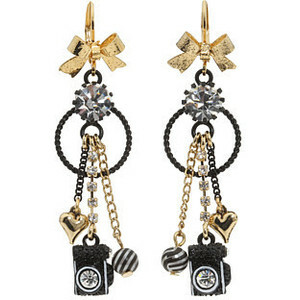 Tourist in Paris Earrings: An Eiffel tower for one ear and a camera for the other. 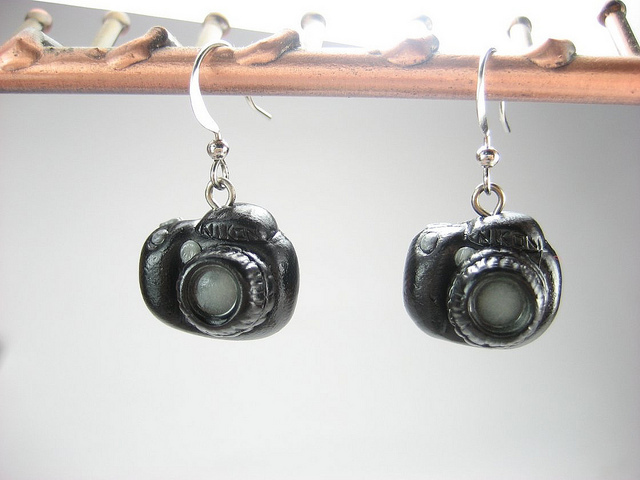 Photographer Cameras Earrings: This delicate jewelry is light, comfy and features an intricate double camera and film design. 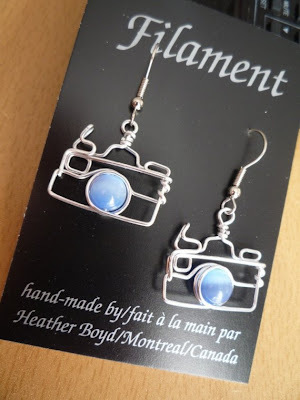 Camera Earrings with Blue Beads: The beads are light blue cats eyes and the little cameras are made from one piece of aluminum wire. Cool Camera Earrings: These camera earrings look as if they are the models used in late 70's and early 80's and have quite a vintage look. 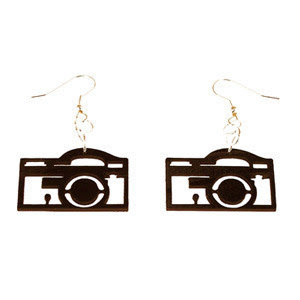 Rolleiflex Camera Earrings: The ear wires are silver plated; its made of plastic, these measures 1cm x 1.75cm. Antiqued Brass Camera Earrings: These measure 18mm x 12mm. 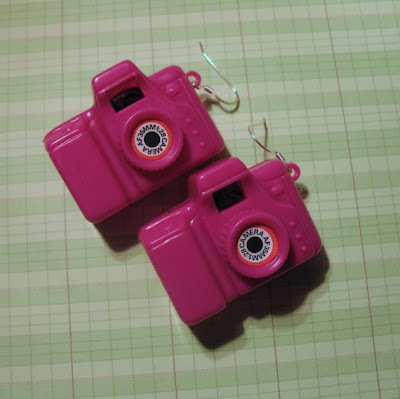 Pink Camera Earrings: Each camera contains a slideshow of eight images of dinosaurs and they measure 2.5" x 1.25" wide. Tiny Camera Silhouette Silver Earrings: These handmade tiny camera earrings measure a little less than 1/2" from left to right. 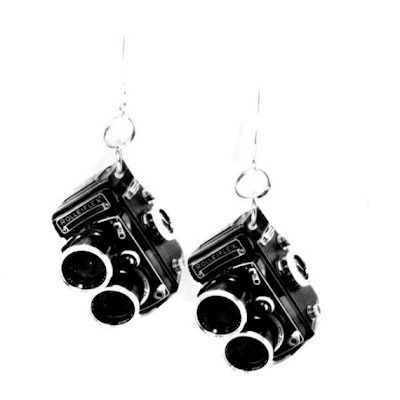 Cute Camera Earrings: Its created from lightweight plastic and measures approx 1.5cm in length and the whole earring including the chain measures approx 1". 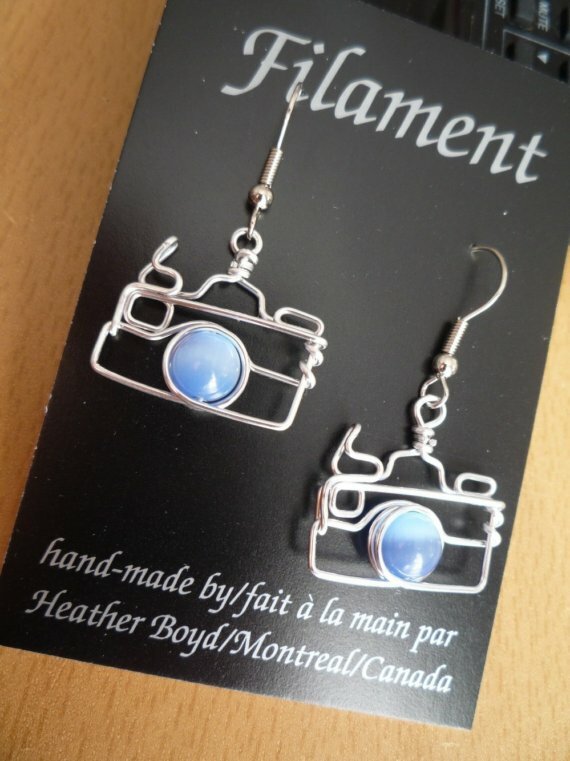 Hammocks From Around The World.